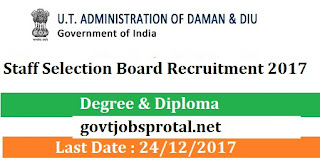 1) The posts earlier Advertised by the Director Medical Health Services, Daman vide the advertisement dated 21/3/2016 for the post of X-Ray Technician / Radiographer, shall be treated as Cancelled and the candidates should apply again. 2) Online applications successfully filled through the website www.daman.nic.in within the stipulated time limit shall only be considered. The candidates are advised to fill their active email address and mobile number in the online application as all the correspondence will be made by the Board through email and lore SMS. 3) The candidates should submit applications within the stipulated time limit. 4) Applicant having domicile of Daman & Diu shall be given Weightage, subject to him / her producing Domicile Certificate issued by the Mamlatcar, Daman & Diu as the case may be. 1). Degree of Recognized University or equivalent. 2).Degree / Diploma in Physical Education from a recognized University/Institution. 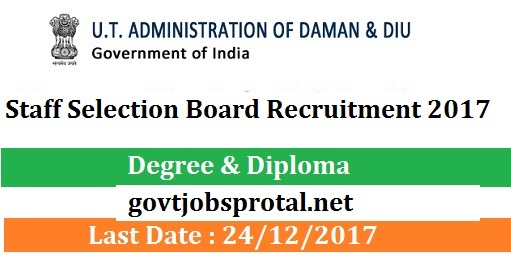 3).The detailed instructions are available on www.daman.nic.in as Link Online Job Application. The candidates should submit applications within the stipulated time limit. Certificate issued by the Mamlatdar, Daman & Diu. will be negative marking. For each Wrong answer, 0.25 marks will be deducted. 3) Arithmetical & Numerical Ability. (b) Objective type multiple choice questions on the Subject Concerned. (You will get more information in employment News paper dated on 16/12/.2017 Page no.(14).) Visit the official website for more information.